Our classic Arctic Cod Liver Oil has always been derived from 100% wild Arctic cod - no other fish oils or synthetic additives are ever used. Unlike fermented oils, our cod liver oils are manufactured to eliminate free fatty acids and prevent rancidity. 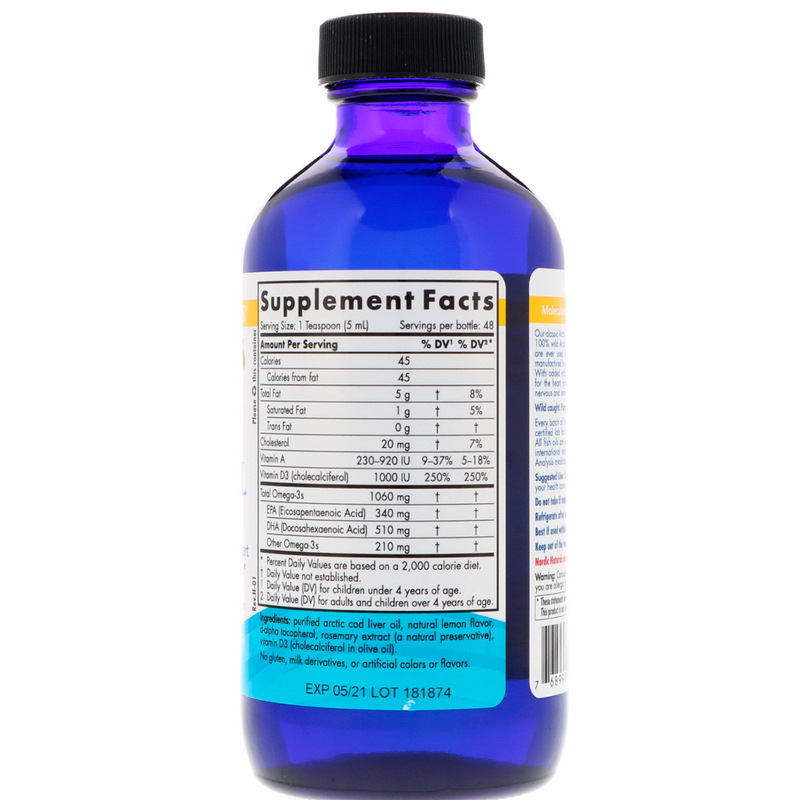 With added vitamin D3, this formula offers combined support for the heart, brain, mood and bones, and promotes optimal nervous and immune system function. Every batch of Nordic Natural fish oils is tested by a third-party certified lab for environmental toxins, including heavy metals. All fish oils are in the triglyceride form and surpass the strictest international standards for purity and freshness. Certificates of Analysis available upon request. One teaspoon daily, with food or as directed by your health care professional or pharmacist. 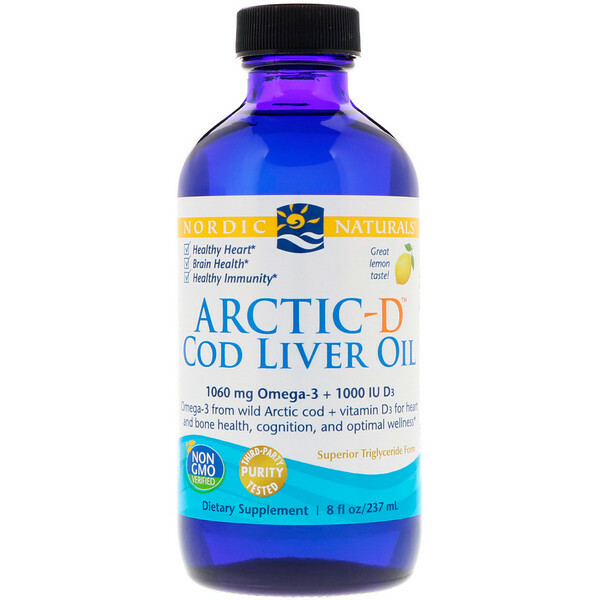 Purified arctic cod liver oil, natural lemon flavor, d-alpha tocopherol, rosemary extract (a natural preservative), vitamin D3 (cholecalciferol in olive oil).